I'm on vacation! This week, I'm taking a much-needed break to recharge the batteries and get a change of scenery. To keep things going around here, I've enlisted the help of several friends of the blog to submit guest posts on various topics of their choosing. Here's one from Professor Timothy Yu. Yi-Fen Chou is the pen name of Michael Derrick Hudson, who was born in Wabash, Indiana, in 1963. He currently lives in Fort Wayne, Indiana, where he works for the Allen County Public Library in the Genealogy Center. "Chou" was, in fact, a white man -- and a reasonably widely published poet -- whose adoption of a Chinese pseudonym was nothing more than a strategy to find homes for his rejected poems. "...after a poem of mine has been rejected a multitude of times under my real name, I put Yi-Fen's name on it and send it out again. As a strategy for ‘placing' poems this has been quite successful for me..."
By the next day, the news of Hudson's stunt was not only all over social media, but was making national and even international news, ultimately drawing coverage from the New York Times, Washington Post, NBC News, and the Guardian. Why did the media eat up this story? Perhaps for some, it raised echoes of the recent media frenzy over the racial masquerade of Rachel Dolezal. 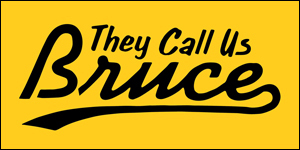 Others may have been taken in by the "gotcha" quality of Hudson's reveal, reinforcing stereotypes of the political correctness of the literary world. My family worked hard to achieve our success here in the U.S. We did not steal or assume someone else's identity to receive preferential treatment or to draw forth public attention. What was most instructive about this controversy, for me, was the way the responses of these Asian American literary communities, and the voices of other writers of color, were actually heard. Whereas in the past the controversy might have been debated primarily on the grounds of the literary value or ethics of Hudson's deception -- a conversation, moreover, that would have happened almost entirely among white writers and critics -- the Yi-Fen Chou affair unfolded in a changed literary landscape, one in which writers of color play an increasingly prominent role, and in which Asian American literary communities have a growing voice. 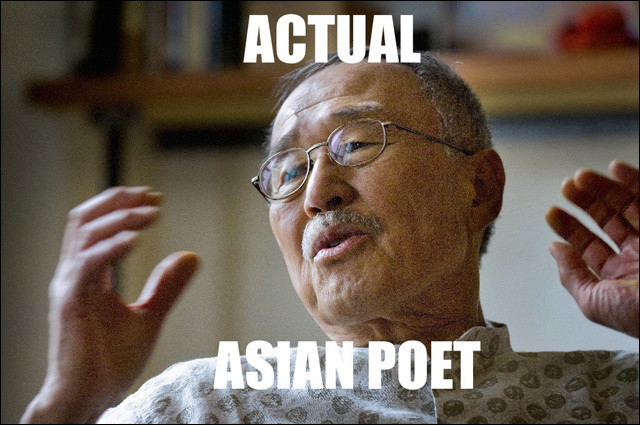 What turned out to matter most was what this fake Asian poet taught us about actual Asian poets. For many Asian Americans and other writers of color, one of the most confounding facts about the Yi-Fen Chou controversy was that this year's Best American Poetry was edited by Sherman Alexie, one of the country's best-known Native American writers. People wondered how Alexie, of all people, could have allowed Hudson's poem to be published, and speculated that the bio must have come in after Alexie's involvement ended. There was collective shock, then, when Alexie posted a lengthy essay explaining that he had known of Hudson's deception and decided to publish the poem anyway. Alexie's essay has been widely discussed and is well worth a read, most of all because it offers a remarkably frank viewpoint on the relationship of race and literary value. You see, whenever anyone raises the problem of diversity in publishing -- as in, there isn't very much of it -- someone inevitably responds that publishing should only be about literary merit. Well, just as "meritocracy" is often another way of saying "white men always win," the category of "literary merit" is frequently employed to defend the practice of publishing mostly white men. What claims for literary merit inevitably overlook is that judgments of "merit" shift due to historical and social contexts -- even Shakespeare was once thought to be bad -- and that the writing of women and people of color have often been systematically exclude from the ranks of "literature." Projects like the VIDA Count reveal how far we have to go to achieve anything like a level playing field in literary publishing. Rule #5: I will pay close attention to the poets and poems that have been underrepresented in the past. So that means I will carefully look for great poems by women and people of color. He acknowledged that he did, indeed, give the poem by "Yi-Fen Chou" a closer read due to the author's Asian name, and that he was compelled enough by it to include it in the anthology. When he later learned that "Chou" was in fact Hudson, "I was angry at the subterfuge and at myself for being fooled by this guy. I silently cursed him and wondered how I would deal with this colonial theft." Yet Alexie ultimately decided to include the poem anyway, "because it would have been dishonest to do otherwise." Alexie's reasoning for his decision has been endlessly debated and will likely continue to be, but I want to focus on the now-notorious term Alexie coined to describe the fact that he essentially put a thumb on the scale for someone he thought was an Asian American writer. Alexie called this "racial nepotism": just as white authors have historically been favored by white editors and critics, "I was also practicing a form of nepotism. I am a brown-skinned poet who gave a better chance to another supposed brown-skinned poet because of our brownness." My favorite response to this was Jia Tolentino's in Jezebel: "a rare instance of a man being so humble he ends up being wrong." Because of course, what Alexie describes is not nepotism. If a company run by white executives hires only white employees, that's not nepotism, it's racism. If that company hires an African American executive who then makes an effort to hire more African American employees, we can call that a lot of things -- affirmative action? racial justice? -- but we don't call it nepotism. The term "racial nepotism," an awkward attempt by Alexie to grapple with his own power as an editor who is also a person of color, turns the structural problem of race into a merely personal relationship. The irony, of course, is that Alexie's "racial nepotism" did, in fact, lead to an anthology that was far more racially diverse and representative of the contemporary literary landscape. The Best American Poetry 2015 included a number of outstanding Asian American poets, including Aimee Nezhukumatathil, Chen Chen, Rajiv Mohabir, Jane Wong, and Monica Youn; one of the greatest outrages of the Yi-Fen Chou affair was that it threatened to overshadow the real Asian American poets included in the anthology. But the fact that those poets were present in the anthology meant that it was possible not just to debate the value or ethics of what Hudson did, but to point to Asian American poetic voices as a response: "Can we talk about these poems and how good they are?" On Twitter, the hashtag #ActualAsianPoet encouraged readers to seek out real Asian American writers, from Al Robles to Myung Mi Kim. Others found in the controversy an opportunity for creative expression. The Real Yi-Fen Chou Tumblr, authored by a collective of Asian American writers, posted memes, parodies, and original poems. My own initial response, a Facebook post in which I claimed responsibility for inventing Michael Derrick Hudson, was apparently convincing enough to fool people who kept asking me if it was real. Most surprising of all to me was the widespread media coverage of the controversy -- and the fact that Asian American writers and critics were actually quoted in that coverage. After I made my Facebook post, I was contacted by a columnist at Slate who was writing a story on Yi-Fen Chou; over the next week or so, I spoke with reporters from NBC, the Christian Science Monitor, and the Guardian. The Washington Post interviewed poet and professor Victoria Chang, while the New York Times spoke with poet Ken Chen, director of the Asian American Writers Workshop. 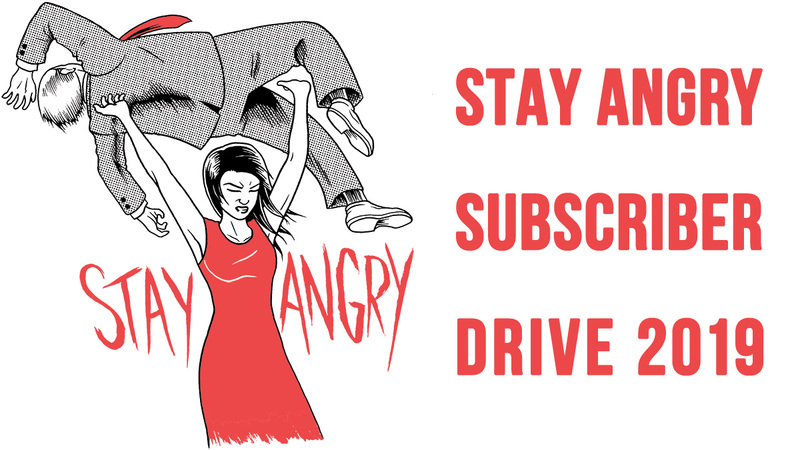 In a culture where Asian Americans are still spoken for and about more often then we get to speak for ourselves, the presence of the Asian American voices in mainstream media coverage suggests a maturing Asian American literary community that can no longer be ignored. And given Asian Americans' outsize presence on social media, it's no accident that reporters primarily found our voices by looking there. Finally, if the Asian American literary community is growing bigger, louder, and more diverse, it is also becoming more organized. A roundup of responses to Yi-Fen Chou collected on the Poetry Foundation blog was dominated by Asian American voices. Many of the poets participating in the debate, as well as several of those included in Best American Poetry, were writers I knew through Kundiman, an Asian American arts organization that runs an annual retreat for writers. And the Asian American Writers' Workshop not only posted its own collection of responses by Asian American writers, but humorously offered up a White Pen Name Generator to help Asian American authors looking to get ahead. So if my initial reaction to the Yi-Fen Chou affair was disgust -- a sense that this had all happened before and would happen again -- it ultimately turned into a moment where the Asian American literary community came into its own. We took charge of the conversation, we got heard, and we hopefully helped a few more people find some actual Asian poets to read. Timothy Yu is the author of Race and the Avant-Garde: Experimental and Asian American Poetry since 1965 and the forthcoming poetry collection 100 Chinese Silences. He is associate professor of English and Asian American studies and director of the Asian American Studies Program at the University of Wisconsin-Madison.